Las Vegas – Hewlett-Packard Co. had its futurist lay out its Blended Reality vision at its Global Partner Conference, but this future is actually closer than you may think. In a video showing what this future may look like, HP showed a vision that will be familiar to viewers of the last season of Parks and Recreation, including smart watches, hologram tablets and drone cameras replacing selfies. “The future will look a lot like today, only slightly different,” said Andrew Bolwell, whose title is chief disrupter, technology strategy and vision with HP. 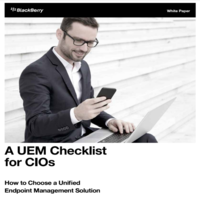 “We’ll still have work life issues, but when the technology works better we can spend less time working the technology. We’re already seeing the future coming with wearables, and maybe in the future the technology becomes part of us, as devices become smaller and more intelligent and connected to the Internet of Things. The digital is beginning to coexist with the physical, and that’s what’s driving the first iteration of HP’s Blended Reality vision. The goal is to allow objects to seamlessly and easily move from the physical to the digital world and then back to the physical. For example, scanning an object into a digital format and manipulating and modifying it with HP Sprout, and then printing the new object with Multi Jet Fusion, HP’s new 3D printing technology. Sprout, currently available as a consumer product through retail, is a multitouch immersive computer with a 23” display. It features 3D scanning technology from Intel and HP to allow it to scan and capture 2D and 3D objects and an 20”, 20-point touch-enabled touch mat with an ultra-resistant top coating to for physical interaction with the digital objects on the screen. It’s powered by a 4th generation Intel Core i7 processor and Nvidia graphics. Sprout is HP’s onramp to the blending of the physical and the digital. And after getting its start in the consumer market, it’s now coming to the commercial space. 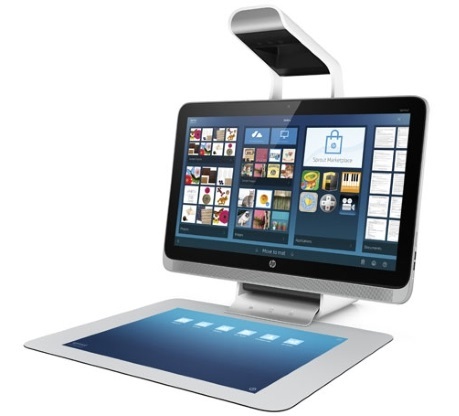 Jeff Wood, vice-president of worldwide product management for HP’s commercial solutions business unit, said Sprout will be available to the commercial market through the channel in Canada and the U.S by the end of April, priced at US$1,899. To start, it will be the same as the consumer model. The goal is to launch a redesigned Sprout for the commercial market early in 2016, based on feedback and learnings during this trial phase. Likely target markets include K-12 and higher education, production designers and graphic artists. On the backend is 3D print and HP’s solution, Multi Jet Fusion, is scheduled for beta release in early 2016 and commercial availability by the end of that year. Pricing information will be available closer to launch. Juan Ignacio Calderon, vice-president of strategy and market development for HP’s graphics solutions business, said HP believes strongly it needs to disrupt the 3D printing business. HP is also planning to disrupt on speed. Other technologies are point by point; HP uses layer technology that Calderon said is significantly faster. 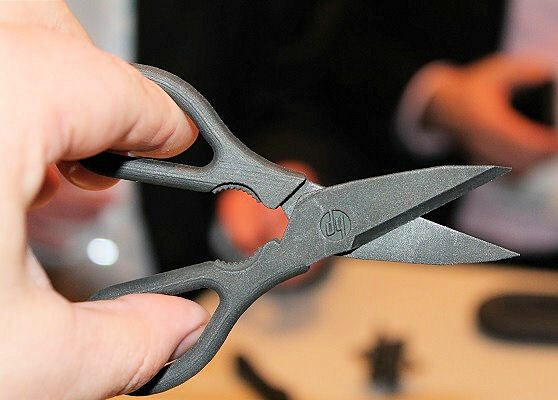 A pair of scissors printed with early HP 3D printing technology. Today, 3D printing is a $3 billion market but it’s expected to grow to $20 billion within the next few years. Today, the majority of that is rapid prototyping. The consumer market is still just a few percentage points, but Calderon said we can thank the related hype for sparking people’s imaginations about the possibilities of 3D print. In HP’s vision, the consumer market will stay small. After people create their 3D digital image, Calderon sees them sending the digital file to a commercial printer that uses HP Multi Jet Fusion. One of the big opportunities Calderon sees is still a small market today: final parts manufacturing. It has the interest of luxury car manufacturers like Ferrari, which could do small runs of highly complex parts that you can’t do easily with traditional manufacturing. While HP’s technology is beginning with thermal plastics, it’s exploring printing with metals to address this market.